Having battery life drain issues with Apple AirPods charging case? Try this temporary fix until Apple explains and issues a proper fix for it. 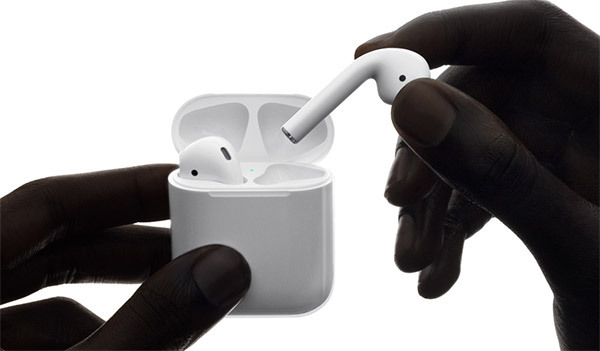 Apple’s AirPods have definitely been extremely well-received by those consumers who have been lucky enough to either purchase them independently, or who have been gifted by a family member or a loved one over the holiday period. The product itself is beautiful and definitely worthy of the price tag that Apple has applied to it, but that hasn’t stopped certain users from experiencing issues relating to the charging case, and more specifically, the case not offering the 24-hours standby life that Apple’s documentation claims. Some users have managed to find a fix, and while it doesn’t appear to be working for everyone, it’s definitely worth giving a shot. As mentioned earlier, it’s by no means a universal fix as others have simply had no joy at all fixing the charging case problem with this solution. The only real re-course that those users have is to actually go through the process of returning the AirPods for a refund, or asking for an exchange from Apple in the hope that they receive a pair of AirPods that don’t have the issue. The latter does involve having to actually wait for the AirPods to be in stock, with one user highlighting that he was asked to post the defective AirPods back to Apple and wait six weeks for a replacement. Apple is yet to acknowledge the issue with the standby battery life on the AirPods charging case, but it’s very much possible that the company is internally investigating the issue and could deliver a firmware update for AirPods to resolve the problem. However, there’s no official confirmation that this will actually happen, which puts owners in a bit of a predicament. If you happen to have purchased the AirPods, have you noticed the issue, and did this resetting method fix the problem? Here’s a fix.. stop buying Apple products. It seems that their products are requiring ‘fixes’ all the time now. Everyone’s products are needing fixes man! Samsung is taking more than most at the moment! Don’t matter who made the device! It’s electrical it will have issues I like both android and Apple for different reasons more so an android guy! Got mine coming Jan 30th so hope it’s fixed by then! I’m not really worried about it to much Apple will pull thru with a fix that will need another fix and another fix to fix that fix and so on and so on! 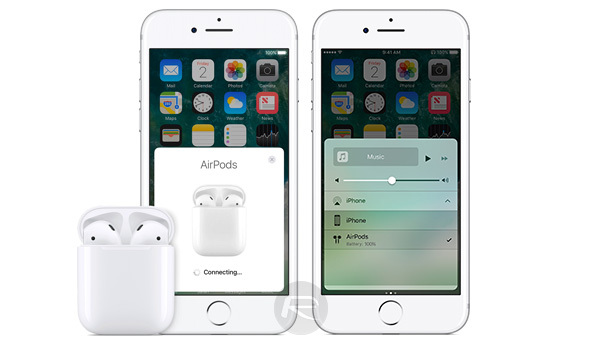 Not gonna lie I was shocked to see that they made the airpods compatible with any device…..not typical of Apple! As for the charging case I’m sure an update will fix that! I have had mine since the 20th and they work fine. I charged them yesterday around noon and they still show 99% today at 4 PM. Like everything made in very large quantities there are going to be some glitches in manufacturing but the vast majority are fine. Apple has great warranty service, so if something goes wrong, visit an Apple Store and get it resolved. I agree with the customer service part! They hands down have the best customer service period! Go into an Apple Store and if they can’t fix your item and it’s still in warranty you’ll walk out with a new one! Ya I have the jay bird X2’s and X3’s also have the Samsung iconX Bluetooth headphones. I need wireless for work so it’s looks really don’t matter as long as I can have my hands free completely! My iconX’s are the best I’ve tried so far but kind of big in the ear! I was gonna wait as well but figured why not get the first gen and get them each year they release a newer version! The reset fixed the battery drain in my AirPods case. Before the reset I noticed the AirPod case stayed connected to my phone even when the case was closed. Now it shuts off.